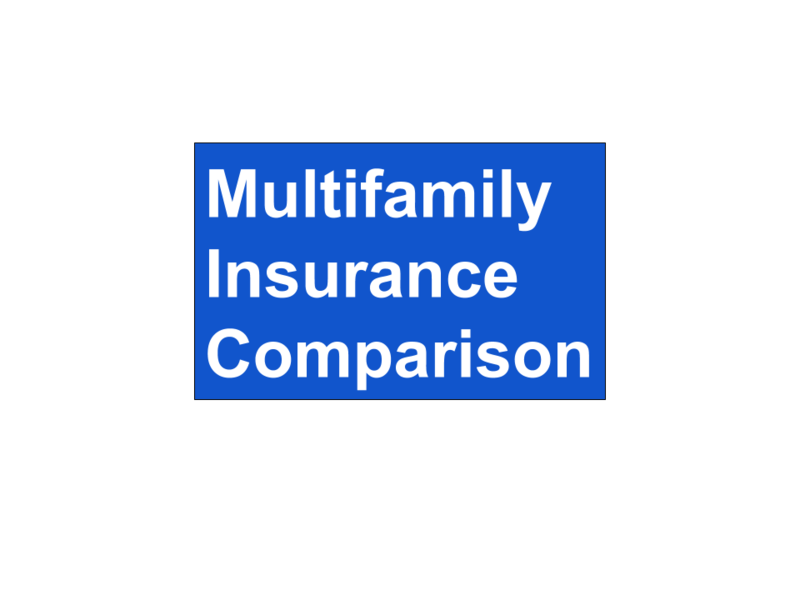 Underwrite a Multifamily Market before you invest in a property. Before you fall in love with a property, you have to learn what is driving the market. Anna Myers, Vice President of GroCapitus, identifies key indicators of a healthy housing market. When these are present, you protect yourself and your investors from financial loss. Since 2006, Anna has been a long distance real estate investor. She invested in single family and land before focusing on the benefits of multifamily. Today, she and her investors focus on class C properties where they can do value add improvements and force appreciation. First things first; there is not a national multifamily market. Every Metro Statistical Area, MSA, is its own market and must be underwritten separately. Each market has its own economy which are influenced by geography, resources, area businesses and population. Population size reflects potential number of renters. While it is best to be in a larger market with multiple large employers and well paid employees, don’t overlook the surrounding markets within a 30 minute drive that allows workers to commute. These markets can provide excellent opportunities to take advantage of the strong job market and create a strong value add opportunity. Larger metro areas will have access to public transportation. If a market has a healthy transit system, this provides renters multiple options to get to their employment. It all starts with jobs. Without jobs, you have unemployment, and unemployed tenants are not able to pay your rent. You can find a lot of this information online from the Census or local chamber of commerce. Job growth: Are local employers growing? If so, are they hiring? Do they need to employ more people to accomplish their growth? Number and type of employers: You need to find out who the major employers are in the area. A healthy market will have multiple larger employers. You don’t want to find that there is only a couple of major employers in the market. If there are are not multiple employers who are growing, be careful. More employment sectors is better. If the market has only a couple of major sectors it can become problematic if there is a downturn. A few sectors to be aware of because of their cyclical nature include; military & construction. Sectors that are always in demand include health care, which provides a lot of high quality jobs. Median household income – You need strong wages. Anna and her team set a minimum median household income of $40,000 for their investment criteria. If you want to collect rent you need people with good paying jobs. If you underwrite and rent to tenants with at least 3 times the monthly rent for income, collecting rent is easier. Unemployment: it is best have no more than 8% unemployment in your neighborhood. How many units have been built in the last 3 years? If there is more demand than supply, this is good for an investor, in that you are less likely to have vacancies. When you underwrite a multifamily market, it is important to recognize how much new construction has recently occurred and how much is in the pipeline. When supply suddenly grows and exceeds the demand, the newer properties will likely be more attractive to prospective tenants. To fill the newer class A properties, management & owners will utilize promotions, concessions and rent discounts. The B class tenant will be attracted to a nicer newer property that cost the same or a little more than their current rent cost. This will cause rising vacancies in the B class properties. This same conditions will be employed between the B & C class property tenants. This is why you have to understand the area development projections and how it will affect your property. Anna and her team recognize the price to rent ratio range they refer to as the “goldilocks range” of 14-22 as the ideal range. If the ratio is lower than 14, it is easier for the tenant to buy a home. When the ratio is above 22, it is more difficult for the tenant to buy and for the multifamily property to produce cash flow. Median value of owner occupied home / Annual median gross rent. Forecasted rent growth: Find out the most recent rent growth statistics for both annual and the most recent quarter. Ask local brokers what the rent growth forecast is for the next 12 months. While projections may be substantial, Anna uses a conservative rent growth cap of 4% rent for the first year. If you get more, great, but don’t over estimate. Anna’s team has found the minimum median rent of property needs to be not less than $800. Markets with a lower median rent makes it difficult to collect rent. Look for areas where the median income has increased, but the median price of housing has not yet increased. This is a sign of rising housing prices. City Data is a free website that allows you to see a map of the neighborhoods and the census data associated with it. This allows you to recognize where the price of housing will increase. Emerging markets – when you find a city or neighborhood with positive indicators, study the surrounding areas and you may find a web of supporting markets. Is there a trend that suggest where progress is moving? What are the landlord tenant laws in the market? Are the laws pro landlord or pro tenant. Cities and states that overly protect the tenant should be avoided. In these markets, there are tenants that know how to work the system, and can create real havoc for a landlord. Learn the laws regarding notice to evict before you invest in a market. There are two calculations to consider. Physical & Economic occupancy. As a rule, occupancy under 95% will likely be a challenge to collect rent from your tenants. BIGGEST RISK: Not understanding your market. Not understanding the data. How to manage the risk? : Know the data, it does not lie. This is especially important when you are entrusted to invest others money. Seller financing is a viable strategy for real estate buyers and sellers. Since 1986, Larry Goins has been buying and selling real estate. He has bought and sold residential, multifamily, commercial, developed subdivisions, mobile home parks and more. For financing, he has utilized multiple methods including traditional banks, partners, hard money, lease options and seller financing. To generate multiple leads, requires a sophisticated marketing campaign utilizing postcards, Facebook, and pay per click Google Ads. This is all in an effort to make the phone ring. When the phone rings, a screener will qualify the opportunity. If it sounds plausible, Larry makes a call and offers a full price cash offer. Bandit signs: 25-30 around the neighborhood where the property is located. For each method, they collect emails and grow their email list for the next property they have for sale. Wholesaling is an simple way to make money without the need for a lot of capital. Larry authored the book, Getting Started in Real Estate Day Trading and has students from around the world employing his system. The ideal property will be purchased well below market, but that is because the seller has problems. When you find the person with a problem who is willing to part with their property for very little, you have the first ingredient necessary to make a profit. As soon as a property is put under contract, the marketing team takes over. First they go to the property and take numerous photos of the property including all interior, exterior and building systems. Next they market the property to their buyers list. The most efficient model for wholesaling provides for a purchase and sale on the same day, using none of the wholesalers money. The net result of a successful wholesale is a profit after selling a property he never had to invest in, but found both the seller and the buyer. There are two sides to Seller Financing. You will take care of insurance & taxes. You will help reduce their capital gains tax using an installment contract. From here, you can either operate the property as a rental, sell to a new buyer who will assume the loan after you collect a down payment. For example, you buy at $35,000 and sell for $45,000 with $10,000 down and assign the mortgage to the buyer. Another way is to utilize “wrap mortgage”. This is when you acquire the property on terms from the seller, and then sell the property on contract to a buyer. To make this work, you need to acquire for a low monthly payment, and then sell on a higher monthly payment. You make the money on the spread. If you have the financial ability to acquire a property, seller financing is a great way to make substantial returns. Larry and his team try to buy a property for 30% of what they can sell it for on contract. He calls this “Flip to Riches”. If the buyer does not make their payments, you foreclose and resell the property and collect another down payment. If your buyer refinances, you get paid off. In all cases, you have to be transparent with the seller about what your intentions are. BIGGEST RISK: Lack of education. If you don’t know what you are doing, you will get burned. How to manage the risk? Get educated. Read books, listen to podcast, get a mentor. A Spendthrift Irrevocable Trust might just be the the asset protection strategy you have been looking for. It allows you to own nothing, but control everything. Bruce Mack is a real estate investor, Licensed Financial Advisor and student of how Trust work to provide maximum asset protection and tax benefit. He utilizes Spendthrift Irrevocable Trust offered through Platinum Trust Group. His primary clientele are Real Estate Investors. Client owned rental homes. When their son was at fault in an ATV accident, they were forced to liquidate their assets to pay for the damages beyond what their insurance provided. They loss 20 residential houses. A real estate investor managed his own properties. When he was found guilty in a wrongful eviction lawsuit, his liability insurance was limited in its response. He lost 150 rental houses and 2 apartment buildings. That does not affect me because, I have an LLC. When you use an LLC, C-Corp or S-Corp to hold title of your real estate, you separate you, the individual, from your business that owns the real estate. This is referred to as the “corporate veil”. This is a fairly straight forward strategy. If you own multiple properties, for additional asset protection, you may be advised to create multiple separate entities for each property, In theory, this makes sense, however, the cost to maintain and operate multiple entities is not cheap. For each entity you create, you are required to pay separate state business filing fees. This is in addition to the tax return required for each entity. Multiple state fees and tax returns add another level of expense that reduce your profits. On top of the fees, you must follow the formalities outlined in the corporate operating agreement and bylaws. Failure to follow these can blur and lessen the the distinction between you and the entity. When opposing counsel has been able to prove the lack of structure and record keeping, they have been able to pierce the corporate veil and hold the individuals personally responsible. This opposing counsel strategy is referred to as the “alter ego”. Bulletproof asset protection. Your assets are protected when placed in a properly structured Spendthrift Irrevocable Trust. This deters opposing counsel from suing. If the opposing counsel were to sue and win a judgement, they would place a lien against the trust. This lien would be satisfied when the trust is liquidated. That happens 21 years after the last beneficiary dies. Beneficiaries receive distributions. The beneficiaries are required to pay income tax on the income they receive from the trust. When the trust is liquidated. The Spendthrift Irrevocable Trust states that this happens twenty-one years after the last beneficiary has passed away. At that time, the trust dissolved and any liens are settled and taxes paid. Property held in a irrevocable trust can prevent the need for a 1031 exchange to avoid the taxable event. A trust can hold assets, receive income from those assets and pay the operating expenses required to maintain the trust. Only the distributions paid to the beneficiaries are taxed at the ordinary income level of the receiving beneficiary. Who is the Spendthrift Irrevocable Trust for? If you are selling an asset, or buying additional real estate, you should look at the protection provided through an Spendthrift Irrevocable Trust. Both asset protection and tax savings are reasons to look into the benefits of irrevocable trust. BIGGEST RISK: The chance of being completely wiped out due to an unforeseen event. How to manage the risk? : Follow the advice I give my clients. I have placed all my assets in an Spendthrift Irrevocable Trust. Multifamily Asset Management is the rarely talked about, but vitally important, required aspect of multifamily investing success. It is key to realizing the profits investors expect. Vinney Chopra shares some of the critical steps successful operators take to make their multifamily investment operate to achieve peak performance and maximum returns for their investors. 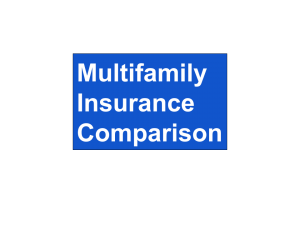 Multifamily Asset Management is not property management. Asset managers manage and work with property managers. The asset manager is hired by and reports directly to the syndication principal / sponsor. They are not responsible for interacting with investors. Asset managers engage weekly with property management to keep them focused on the immediate operational task at hand. Additionally, they make certain progress is being made towards the end goal. These calls can occur in person, but more often is done through phone or video calls. Renovation Schedules, detailing the work needed to complete so the unit can be rented. If work cannot be performed by property management staff, subcontractor proposals are sought. Vacancies, unit turns, collected rents, delinquencies, rent increases, vendor contracts, and capital improvement work schedule for larger value add projects. Community Manager: leader of the property management staff. Lead Maintenance / Technician: reports to Community Manager. Assistant Community Manager: is a Community Manager in training and assist the Community Manager in all aspects. Porter / Helper: Assist the Lead Maintenance Technician. Make Ready Person: Responsible for turning units between residents. The number one responsibility of the Community Managers team is leasing units and rent collection. This is achieved through regular communication with the residents so that they understand residents intention regarding the renewal of their rental agreement. Marketing available units using all of the social media websites that target people looking for apartments in your neighborhood. There are several tricks management must be savy to in order to keep your property as a top offering. When these are employed, your property is featured more prominently and you receive multiple inquiries from prospective residents. Additionally, the management team must deliver the service from their customers, the residents. This means promptly attending to the service requests, and following up with the residents to gauge their satisfaction. Paying attention the physical appearance of the grounds goes a long way to communicating pride in the property. Management must walk the property daily and recognize and correct any problems or potential problems as soon as possible. This level of care can provide referrals from your happy residents to their family and friends who can become future happy residents. Only when you are in tune with your residents can you achieve expected rental retentions. When your team acquires or is working to sell your property, your management team is critical to the transition. Prior to acquiring a property, It is important to establish accounts with all utilities and vendors to make certain all of the services continue and there is no interruption in service. When you are ready to sell, your property management team must make certain your rents hold steady. Any dip in occupancy can create problems with valuations and the sale. Your property management will be the face for your property and company when dealing with open houses, and property tours for commercial real estate brokers and investors. When Asset Management and Property Management work together, they can create an inviting community for both current and future residents. Here are some of the physical property traits Vinney has employed that work. Make the grounds as attractive as possible with well trimmed hedges and landscape lighting. Amenities and reasons that create reasons for residents to interact with staff and fellow residents. These include: inviting club house with flat screen TV’s, cookies, water and Friday morning Breakfast on the Run. Dog parks, more and more residents have dogs, and this is an inexpensive place for residents to inner act with other residents and get to know each other. How to manage the risk? : Do not hesitate to act. Provide incentive to property management to keep the property occupied at and above 95%. For instance, the office is closed on Saturdays as long as the occupancy is above 95%. BONUS RISK: Delinquencies; Why is the rent not being paid on time. How to manage the risk? Pay attention to the rent as a percentage of income. If the residents do not make enough income, they cannot easily pay the rent. EXTRA Bonus Risk: Walkways must be free from trip hazards. Bring in someone from the outside to inspect the condition of your property. When you are looking at your property day in and out, you can lose sight of certain conditions that need to be addressed to avoid any needless injury, claim or lawsuit. Investor Lesson: The next deal is the most important deal. Technology is disrupting Multifamily Property Management, and the results are impressive. Neal Bawa, founder of Grocapitus Investments and Multifamily U is a technologist by education, who came to real estate investing out of necessity. It was when his boss elected to purchase a building rather than continue to pay rent, that Neal was forced to learn on the fly how to make the new property ready before their lease expired and penalties ensued. Like most of us, the lessons learned under pressure are permanent. Having caught the bug for real estate, Neal first invested in single family homes, but soon realized the challenge to scale. Then he found and invested in thirteen syndications as a passive investor. However, he was not getting the returns he expected. Realizing there was a vacancy problem that was preventing him and his fellow investors from receiving distributions, he asked the syndicator if he could market for prospective residents. Soon, he developed a system that was generating qualified prospects to managers who were able to fill the vacancies. When the property filled up, investors started receiving distributions. The increased NOI drover the value up, and again made investors very happy. When the asset managers asked Neal what he wanted in return, he asked for permission to participate in their weekly asset management calls. They told him the calls were boring, full of acronyms, and he would not like them. But he did. Over the course of 200 such calls, he got a front row seat to the inner workings of multifamily operations on a day to day basis. He realized that each person in the operation had a particular expertise, but no one person, knew all the pieces. Except for him, the note taking technologist. Neal realized he had learned something that not everyone else knew. To make certain he did not forget these newly learned lessons, he started a wildly successful Meetup group in San Francisco where he shared everything he learned about multifamily investing. Soon the members became motivated, and wanted to invest with Neal. He had the knowledge and the support to become a multifamily syndication sponsor. In the 200 weekly operations meetings, Neal recognized some limitations in the existing property management system for filling vacant units. As a technologist, he identified the choke points where it was time for technology to disrupt the status quo. Neal developed a technology hardware and software system with virtual assistants that attract, screen, schedule, and remind prospective tenants of their scheduled tour for his properties. For 2018, his system attracted 30,000 qualified resident prospects for properties he owns. This flood of qualified prospects accounted for 64% of all leases signed. Now, property managers are able to focus on showing units, signing leases and do more operational tasks without the distraction of marketing for empty units. Now that the units are full, Neal realized a second opportunity to leverage his technology and disrupt the income stream to add more value to the property. There were missed sales opportunities for add ons like carports, washers & dryers, etc. Neal observed that property management income was a percentage of all rents collected. While they were focused on a big number like the apartment rent, they did not get motivated about a little number that would pay them an additional $1.20 commission for leasing a carport for $40 per month. For Neal and his fellow investors this lack of focus was keeping them from realizing a significant long term value. The $40 per month carport rent was $480 per year in income. That same $40 per month translates, at a 6 cap rate, to an additional $7,680 in property value per carport! If you have 100 carports, that’s as much as $768,000! So, how do you get someone to focus on something they don’t value? You don’t. Instead, Neal again leveraged his technology and created a follow up task for his virtual assistants. Now, the virtual assistants contact the new residents to make the additional sales. And his property managers take care of what they do, lease, collect rent and turn units. Since these beginnings, Neal started Multifamily U and Grocapitus Investments which are education and multifamily syndication investment platforms. Today, he syndicates multifamily properties all over the US and continues to apply the lessons he learned, and the technology to make his properties more profitable. BIGGEST RISK: Opportunity Zones. When millions of dollars are pumped into distressed areas with no fundamentals for growth, why will these areas become successful? How to manage the risk? : Don’t invest as a Class C area with no growth potential solely as a strategy to avoid paying capital gains taxes. Be wary of investing in an opportunity zone if you do not understand the fundamentals in the area. Financial Freedom is the end goal for every working American. Some day, you hope to have enough to feel secure that you can live comfortably without the stress or worries or need to continue to work. Dr Ross Stryker realized that working as an orthodontist until he died was not the path to financial freedom. The decision to go to a financial freedom seminar about real estate, changed his outlook forever. The American worker has been indoctrinated to regularly invest in the stock market for retirement. Buy dollar cost averaging, starting aggressive, and as you reach the age of concern, dial back the risk to some municipal bonds that pay 3 to 4 percent. Then when you retire, withdraw up to 4% and live happily ever after. If you study this model closely, you will come to the conclusion that this will not allow you to continue to live the lifestyle you are accustomed. You need to consider an Alternative Investment, maybe cash flowing real estate. Passive income is the goal. In real estate, the opportunities for passive income are numerous. You can buy single family turn key properties, invest in note funds, etc working with people dialed into the market providing returns well above 3-4%. This is a good option for someone looking for more control. However, Ross recognized the challenge of scale that exist when investing in single family properties. He liked real estate, but really wanted to be able to scale. Something he could share with others. After sifting through multiple real estate asset classes, multifamily mobile home, retail and assisted living, he landed on self storage. While Self Storage is a want instead of a need. He recognized a positive characteristic about Self Storage: Americans love our stuff. In good times, we buy stuff. In bad times, we don’t want to get rid of our stuff. As long as we have more stuff, the demand for self storage will remain strong. Dialed into the asset class, he had to determine where to invest. Looking for opportunities, his team identified that coastal and large metro areas were heavily saturated with existing self storage. The underserved opportunity exist in the midwest secondary, tertiary and rural markets. There are multiple ways to get into self storage. You can buy an existing property, build new, or convert an existing vacant property. Limited supply is another benefit. Self storage has been identified by many cities as unwanted. They have passed building ordinances, rules and zoning laws, etc to make developing any additional self storage difficult for any future potential competitors. For passive investors, the obvious choice is to utilize third party management property management. There are multiple name brand professional operators that have all the expected marketing and infrastructure to attract and manage clients and send owners the check. BIGGEST RISK: Each week I ask my guest what is the Biggest Risk they see that real estate investors face. How to manage the risk: Get involved in a group of like minded investors and or mentor group. BONUS RISK; Don’t go to big too fast. How to manage the risk: Start with something small that is manageable. Multifamily Due Diligence for Class C property investors can be the difference between paying extra attention prior to the sale, or paying dearly for unplanned capital improvements after the purchase. Matt Hawley with Multifamily Inspection Services, provides some insight to help investors avoid costly, unplanned expenses. The Due Diligence clock starts as soon as you have a signed Purchase and Sale Agreement. Typically, the seller will agree to 20 to 30 days for you to inspect the building for its physical condition. This is your chance to determine the condition of all systems, and determine what expenses you need to plan for or negotiate away prior to sale. NEVER, NEVER, NEVER skip inspecting each and every unit. Most Class C investors hunt for a property they can make improvements to that translate to increased value. Management, rent increase, renovations, add dog park, RUBS, charge for storage, etc all translates to an increased NOI, and ultimately a higher value. Unfortunately, capital improvements like a new roof, plumbing, electrical and HVAC systems don’t give a boost to the rents. These are bare essentials included in a place to live, and therefore will not improve the operational value of a property. Therefore, it is important for any new investor to recognize the physical condition of the property prior to sale, so they can plan and budget accordingly for the updates needed to the systems. There are four primary building systems which are critical to the proper function of your multifamily property; Roof, Electrical, Plumbing, HVAC. For pictures and descriptions of each potential system, click here: What to Look For When Walking Older Properties. A good roof keeps the water out and the inside dry and free from water damage. When inspecting the roof, look for any signs of improper installation. Inspect appearance, flashing, and the general condition of the roof. Stains on a flat roof suggest pooling of water that can be problematic. If water is unable to properly drain from the roof, it will find seams and travel to places not intended causing potential damage on the inside of your building. Get a professional roofing contractor to provide a condition report and determine the expected life left in the roof. When budgeting you should determine the cost of a roof replacement, and amortize this over expected life of a new roof and account for this amount to your annual capital replacement reserves. Electrical panels: Throughout time, there have been different electrical panels that have been used in construction that ultimately were determined to be problematic and potential fire hazards. Two specific panels are: Federal Pacific with Stab lok Breakers and Zinsco / Sylvania. Aluminum wiring: During a brief time in the 1970’s, the cost of aluminum was less than copper. This cost differentiation caused builders to use aluminum wiring. Over time it has come to be a potential fire hazard. The correction is to have the ends pigtailed to copper at every connection. Amperage to the unit; some insurance companies require a minimum of 100 amps to the individual unit. If the building units have less than 100 amps, you will need a written report from a licensed electrical contractor confirming the electrical system is in good working condition. If any of these conditions are present, you will need to either budget for the correction, or negotiate the repair or cost of the repair form the seller. Type of drain pipe: If you have cast iron drain lines, have the lines scoped to determine the condition of the pipe has any corrosion, or has been compromised. Hot Water tanks; If they are all the same age, you need to plan for replacement. Supply lines; Polybutylene is a problem pipe that leaks and causes damage. Pipes are gray plastic with PB printed on the pipe. If you see any polybutylene, you need to get an estimate for replacement and reserve for this or negotiate the price of repair or a discount with the seller. Recognize the age of the system and get an estimate of how many years are left in the system. Is the system clean? Does it appear to be well maintained? Is the evaporator coil clean? Is the condenser clean? Is the condensation line clogged or is it able to drain properly? The AC units affect the air quality and can negatively affect your tenants health. Windows and doors; look for water intrusion. Vegetation on the roof or against the building must be trimmed away. Spindle width on railings; should be no more than 4” between the post. Any larger opening and a toddler can fit between and potentially fall. Stains: look at the ceilings, and around the windows. These can be a clue to water issues. Electrical: are there any overloaded outlets? This can be a sign that the electrical system is not working properly and should be questioned. Shower walls: if you press on the walls and there is any give, it could be a sign of trouble. Cabinets: what is the condition? Do you need to plan on updating the cabinets? Not properly doing your due diligence. If you have deal fever and don’t fully invest the time, money and effort into your the property due diligence, you will pay the price. Stress test your rents for what if there is a change in occupancy, etc. Will you be able to hang onto your property? Syndication Profits are proportionally the greatest when the property is sold. Multifamily Syndicator, Vinney Chopra, takes us through a recent property sale, providing insight to investor earnings, including payment during operation and through the disposition. Most multifamily syndicators provide a level of preferred return to the investors from operating the property. These proceeds are distributed either monthly or quarterly. Vinney pays his investors quarterly, providing a level payment for three quarters, with bonus returns paid after the fourth quarter. When you buy a value add property, you have to implement your value add plan in order to increase the value. Renovations, rent increase, etc, are all examples of ways to increase the net operating income and the property value. When investors invest their money into a syndication, they are informed of the exit strategy and a window of time for when the property will likely sell. It is upon the sale of the property that the majority of the syndication profits are realized. In a recent sale, Vinney received a Broker’s Price Opinion that the value had increased over $3 million since he and his investors purchased the property. When the investors learned of the valuation, they elected to sell. Once the decision to sell is made, investors are made aware that the quarterly distributions will cease until the property is sold. This is a measure to conserve cash incase there are some buyer due diligence requirements to complete the sale. This avoids the need for a cash call from the sellers and or a discount at closing. The sales process can take several months. For this reason, it is very important to vet the buyer’s ability to close. If you chose the wrong buyer, and they fail to close, you can lose market time, and frustrate your investors. When done properly, the syndicator buys a property, implements the value add plan improvements, increases the rent, noi and market value. The cycle is completed with a successful sale. This makes investors very happy, and likely willing to invest with you again. Be transparent. Make certain you follow the rules, have pre existing relationship with investors, and they can afford to invest in your deal. You must guard your investors interest. Self Storage real estate investing is an attractive alternative to low cap multifamily. Scott Krone, Managing Partner of Coda Management Group, is an architect and developer based in Chicago, IL. He has experienced the boom, bust of residential cycles.. Recognizing the compressing cap rates in Multifamily as a sign that values would likely not increase, he sold his entire multifamily portfolio. Now his focus is finding underserved markets with unmet demand for self storage and filling this gap. Before you invest in self storage, it’s important to get educated on the basics. For starters, the property values and capital required to get into self storage is a fraction of what is needed to get in to multifamily. Otherwise the investment works similarly, NOI, cap rates, etc. Traditional self storage is located near the edge of town Usually a series of one story buildings with exterior entrance for all units surrounded by a perimeter fence. Scott creates class A self storage facilities in underserved urban markets. The ideal opportunity is an existing building with current zoning in place that allows for self storage. An ideal property is 80 – 100,000 sq ft building with high ceilings. When completed, the user will be able to drive into the facility to load and unload their vehicle, protected from the weather in a safe and secure place. By purchasing existing structures with zoning already in place, Coda is able to quickly close on a property, renovate and get the facility open to generate income. This is a significantly shorter timeline than what is required for ground up construction, which could literally take years. The building renovations typically include: new roof, HVAC and lighting. Like any market, understanding the opportunity better than your competition is key to your success. Scott has been able to leverage programs like the Department of Energy PACE program which have provides unique low cost financing for energy savings updates. The difference between renovating and new construction are staggering. The risk timeline faced by a developer for a new construction are frightening, especially if you look back a to the last market crash. Consider the risk of what could happen if your project takes longer than you planned and you miss the market opportunity entirely. You could be left with a building that you cannot rent or sell. Starting with an existing building significantly shortens the time line from start to completion. Depending on your renovation schedule, you can be generating income in a fraction of the time it takes to develop a new construction project. The numbers really make sense when you compare to the cost of new construction. If you buy a vacant building for cheap and add the cost of renovations, they are a fraction of the cost of new construction. As Sam Zell illustrated in his book Am I Being Too Subtle, when you can purchase an existing building for substantially less than you can build, that’s a good value. Coda sub contracts the management to REITs with self storage portfolios. These are nationally branded, with all the marketing and systems in place to create a top performing property. Ideally, the REIT becomes the buyer when Coda is ready to sell. How do you manage the risk: Don’t over leverage your project. How do you manage the risk: Paying attention to the marketplace. Know the saturation point of your market.